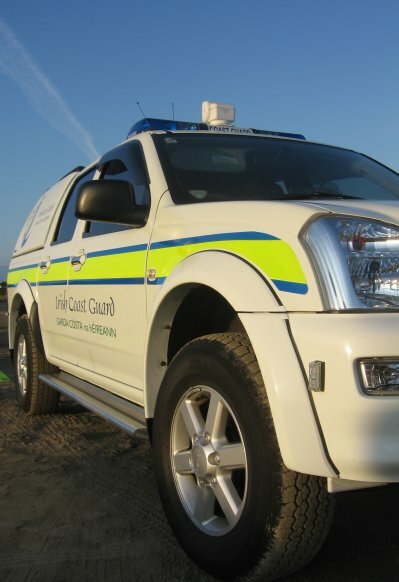 At 20:40 this evening, the Coast Guard’s national rescue centre received several public reports of persons in difficulty on cliffs near Loughshinny harbour. The concerned members of the public had contacted the Coast Guard on 999 as the three male youths were on the cliffs shouting for help. Apparently the youths had climbed down a dangerous section of the cliff top and had become trapped on a small ledge. With darkness approaching, the Coast Guard immediately scrambled its Sikorsky S61 rescue helicopter (Rescue 116) from its base at Dublin Airport. 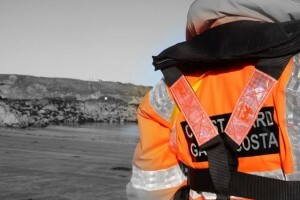 The Skerries Coast Guard crew were tasked to the scene, along with local Gardai. As a precautionary measure, the Coast Guard also requested the launch of the Skerries lifeboat. Upon arriving at the scene, the Coast Guard helicopter swiftly rescued the three youths, winching each one in turn to the safety of the cliff top. Once there, the youths were received by the Skerries Coast Guard team and Gardai. Fortunately none of the youths were injured and were escorted from the scene shortly afterwards. The Coast Guard would remind members of the public to exercise extreme caution when on or near cliff tops. In particular, the Loughshinny cliffs have a history of cliff falling accidents in recent years, regrettably many of them fatal. Remember – if you spot someone in trouble on or near the coast, dial 999 or 112 and ask for the Coast Guard. Today, the volunteers from Skerries Coast Guard took part in a cliff rescue training exercise, organised by our flank station in Howth. Howth Coast Guard is one of 17 cliff rescue units based around the Irish coastline. Skerries volunteers were able to see first hand how a cliff rescue is set up and operated, and also how a casualty might be recovered from steep ground. The Skerries team also had an opportunity to participate and did some descending and ascending on steep terrain under Howth’s expert supervison. Weather conditions were good with a freshening wind and clear visibility. Many thanks to all our colleagues in Howth Coast Guard.